Wow!!! 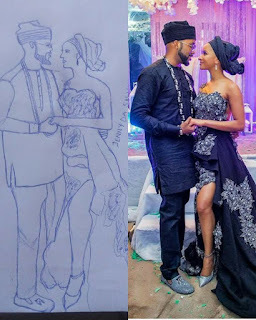 For me I think this is cool. 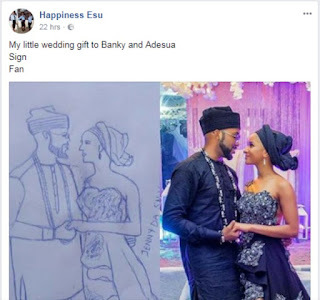 A fan of Banky w and his newly wedded heartthrob made a portrait of their traditional marriage picture which she said is a little gift from her to them.